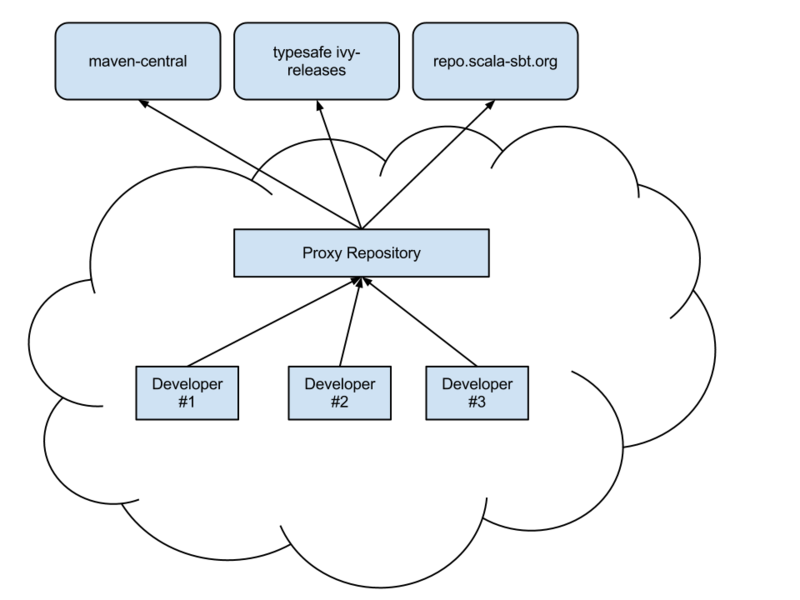 The most common mistake made when setting up a proxy repository for sbt is the attempting to merge both maven and ivy repositories into the same proxy repository. While some repository managers will allow this, it’s not recommended to do so. Even if your company does not use ivy, sbt uses a custom layout to handle binary compatibility constraints of its own plugins. 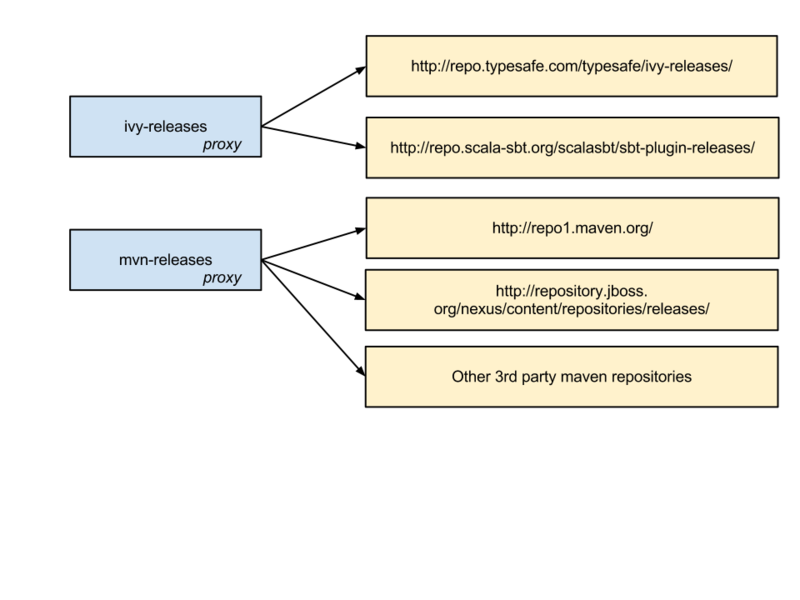 To ensure that these are resolved correctly, simple set up two virtual/proxy repositories, one for maven and one for ivy.